International literacy consultant Thomas Benjamin comments on South Africa's reading crisis by identifying three real obstacles in preschool level - and offering a few solutions. We recently published a story about the reading crisis in South Africa in which confirmed that the "reading crisis" was no overstatement, considering South Africa ranked last out of 50 countries in the 2016 Progress in International Reading Literacy (PIRLS) study. We offered a few solutions, including promoting a culture of reading; encouraging parents to read to their children; making books accessible in schools; and improving initial teacher education. 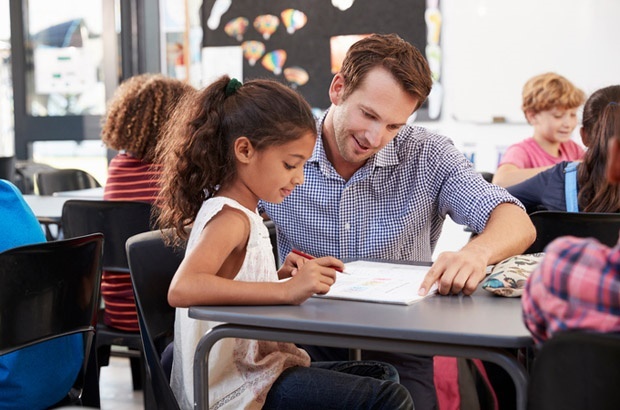 Thomas Benjamin, an international literacy consultant, director at The Ark of the Learner and former teacher and school principal, responded, highlighting three crucial obstacles and how to tackle them. The conversation about reading begins when a couple says 'I do'. At this critical juncture, parents begin planning for children. The most difficult decision in this planning phase, particularly in an urban context, is the medium of language that will be spoken in the home, and whether this language will also be the language that their children will speak. This approach has been used in Cuba, which has very high levels of literacy at the early childhood development (ECD) level. Once a mom begins her pregnancy she must be taught to have conversations with the child in the language of their choice. In addition, music and dance must be part of her daily repertoire. However, the selection of the music and dance is critical. A child is naturally hard-wired to the mom's mother tongue in the womb. The dialogue with the child in the mother tongue must continue after birth. Once the child is placed in an ECD centre, the real challenges begin and the child experiences the mutation of the mother tongue 'gene' (here I'm using the metaphor of the DNA of language). The shift at ECD centres towards using English as a medium of instruction poses huge challenges to the child. Apart from creating confusion with the child's connection with their mother tongue, the child begins to learn a new language from caregivers that lack competencies in the teaching of English. The use of English in daycare centres is not regulated. In most cases, English is the second or third language for these caregivers. The child is exposed to the most dreadful teaching of letter sounds. This is further confused with letter names (in mother tongue we do not have letter names). 1. Herein lies our first major challenge regarding instruction: Daycare staff lack any knowledge or understanding of the principles of phonological awareness and phonemic awareness. This is the recognition of sound patterns in words, including breaking words into syllables, identification of beginning and ending sound in words, the uses of alliteration and rhyming. Furthermore, children are exposed to a range of rhymes that come from our dreadful colonial past that are full of violence and sexual innuendo. 2. The second major issue is the absence of reading to children, reading with children and reading by children. This should be a rigorous, robust and exciting daily activity with children. It simply does not happen. Most daycare staff have not been exposed to the principles of reading aloud and shared reading. Also read: Read Aloud Day: Open the door to new worlds! 3. Thirdly, ECD centres have a number of posters fixed to their walls covering a range of topics, but ECD staff have no understanding of the use of these posters in their programmes. Uses include the principle of 'rapid naming' and the incorporation of this process with phonological and phonemic awareness. The three principles that I have outlined above are the best predictors of reading. These have been extensively studied and researched across the globe in numerous language contexts and have set the benchmarks for reading instruction. In addition, mother tongue has also been endorsed as the best platform for children's learning and we should be treating this as 'sacred'. Grade R and the Grade RR curriculum must he highly regulated to ensure that instruction is carried out by competent and qualified individuals. Compliance with CAPS must be a priority. And the 5 principles of reading must also be benchmarked across the foundation phase in primary schools. My final comment is that CAPS covers the reading curriculum adequately in comparison with other international countries. However, it is too overcrowded with workbook activities and very little time is devoted to the enjoyment of reading. And if teachers do not have a personal culture of reading then this will not be passed on to the child. What do you think the key is to improving reading in South Africa and getting rid of the crisis? Tell us by emailing chatback@parent24.com and we may publish your comments.